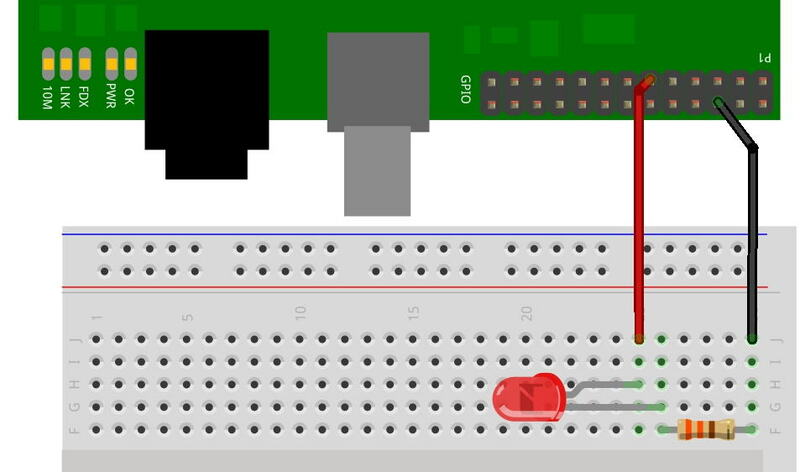 Blink is the “Hello World” of the GPIO interfacing world. It’s the simplest program and circuit that lets you see something happening. and if all goes well, you should see the LED flashing once a second. The LED is any generic LED you may have – typically 5mm diameter and the resistor is 330Ω.